Pope Francis participates in the Commemoration of the 50th anniversary of the Synod of Bishops. We must continue along this path. The world in which we live, and which we are called to love and serve, even with its contradictions, demands that the Church strengthen cooperation in all areas of her mission. It is precisely this path of synodalitywhich God expects of the Church of the third millennium. After stating that the people of God is comprised of all the baptized who are called to “be a spiritual house and a holy priesthood”,(6) the Second Vatican Council went on to say that “the whole body of the faithful, who have an anointing which comes from the holy one (cf. 1 Jn 2:20,27), cannot err in matters of belief. This characteristic is shown in the supernatural sense of the faith (sensus fidei) of the whole people of God, when ‘from the bishops to the last of the faithful’ it manifests a universal consensus in matters of faith and morals”. (7) These are the famous words infallible“in credendo”. Such was the conviction underlying my desire that the people of God should be consulted in the preparation of the two phases of the Synod on the family, as is ordinarily done with each Lineamenta. Certainly, a consultation of this sort would never be sufficient to perceive the sensus fidei. But how could we speak about the family without engaging families themselves, listening to their joys and their hopes, their sorrows and their anguish? (11) Through the answers given to the two questionnaires sent to the particular Churches, we had the opportunity at least to hear some of those families speak to issues which closely affect them and about which they have much to say. A synodal Church is a Church which listens, which realizes that listening “is more than simply hearing”. (12) It is a mutual listening in which everyone has something to learn. The faithful people, the college of bishops, the Bishop of Rome: all listening to each other, and all listening to the Holy Spirit, the “Spirit of truth” (Jn 14:17), in order to know what he “says to the Churches” (Rev2:7). Our gaze also extends to humanity as a whole. A synodal Church is like a standard lifted up among the nations (cf. Is 11:12) in a world which — while calling for participation, solidarity and transparency in public administration — often consigns the fate of entire peoples to the grasp of small but powerful groups. As a Church which “journeys together” with men and women, sharing the travails of history, let us cherish the dream that a rediscovery of the inviolable dignity of peoples and of the function of authority as service will also be able to help civil society to be built up in justice and fraternity, and thus bring about a more beautiful and humane world for coming generations. (32) Thank you. 1) Cf. FRANCIS, Letter to the General Secretary of the Synod of Bishops, Cardinal Lorenzo Baldisseri, on the elevation of the Undersecretary, Mgr Fabio Fabene. to the episcopal dignity, 1 April 2014. 2) Cf. BLESSED PAUL VI, Address for the Opening of the first Ordinary General Assembly of the Synod of Bishops, 30 September 1967. 3) BLESSED PAUL VI, Motu proprio Apostolica Sollicitudo (15 September 1965), Proemium. 4) SAINT JOHN PAUL II, Address for the Conclusion of VI Ordinary General Assembly of the Synod of Bishops, 29 October 1983. 5) Cf. AAS 98 (2006), 755-779. 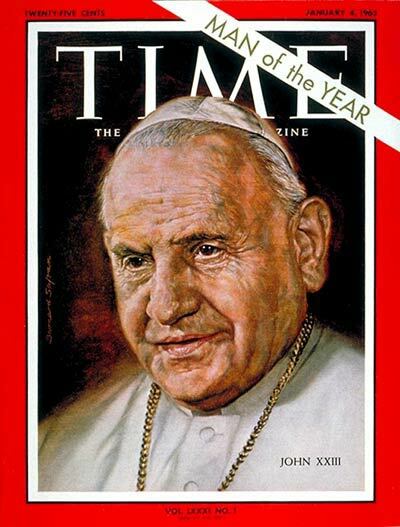 6) SECOND VATICAN ECUMENICAL COUNCIL, Dogmatic Constitution Lumen Gentium (21 November 1964) 10. 8) FRANCIS, Apostolic Exhortation Evangelii Gaudium (24 November 2013), 119. 10) Cf. FRANCIS, Address to the Leadership of the Episcopal Conferences of Latin America during the General Coordination Meeting, Rio de Janeiro, 28 July 2013, 5,4; ID., Address on the occasion of a meeting with Clergy, Consecrated Persons and members of Pastoral Councils, Assisi, 4 October 2013. 11) Cf. SECOND VATICAN ECUMENICAL COUNCIL, Pastoral Constitution Gaudium et Spes (7 December 1965), 1. 12) Apostolic Exhortation Evangelii Gaudium, 171. 13) SECOND VATICAN ECUMENICAL COUNCIL, Dogmatic Constitution Lumen Gentium, 12. 19) SAINT JOHN CHRYSOSTOM, Explicatio in Ps. 149: PG 55, 493. 20) Cf. SECOND VATICAN ECUMENICAL COUNCIL, Dogmatic Constitution Lumen Gentium, 27. 21) Cf. 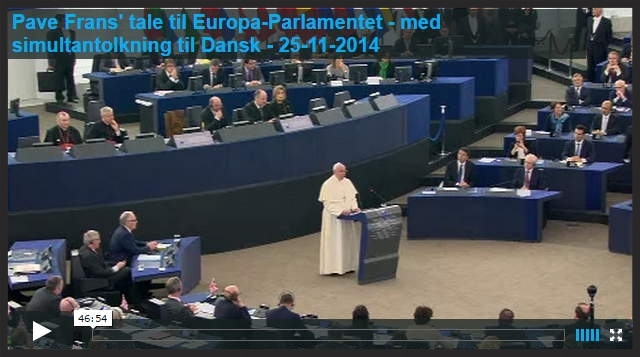 FRANCIS, Address to the Third Extraordinary General Assembly of the Synod of Bishops, 18 October 2014. 22) Cf. Codex Iuris Canonici, cann. 460-468. 23) Cf. ibid., cann. 495-514. 24) Cf. ibid., cann. 431-459. 25) FRANCIS, Apostolic Exhortation Evangelii Gaudium, 16. cf. ibid., 32. 26) Cf. SECOND VATICAN ECUMENICAL COUNCIL, Decree Christus Dominus, 5; Codex Iuris Canonici, cann. 342-348. 27) Cf. SAINT JOHN PAUL II, Post-Synodal Apostolic Exhortation Pastores Gregis (16 October 2003), 8. 28) FRANCIS, Address to the Delegation of the Ecumenical Patriarchate of Constantinople, 27 June 2015. 29) Cf. SAINT IGNATIUS OF ANTIOCH, Epistula ad Romanos, Proemium: PG 5, 686. 30) FRANCIS, Apostolic Exhortation Evangelii Gaudium, 32. 31) SAINT JOHN PAUL II, Encyclical Letter Ut Unum Sint (25 May 1995), 95. 32) Cf. FRANCIS, Apostolic Exhortation Evangelii Gaudium, 186-192; Encyclical Letter Laudato Si’ (24 May 2015), 156-162.